Class Professionals Blog | POSITION FILLED! - SPEAK ITALIAN? - POSITION FILLED! WATCH THIS SPACE FOR SIMILAR OPPORTUNITIES SOON! POSITION FILLED! 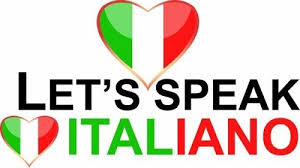 - SPEAK ITALIAN? - POSITION FILLED! WATCH THIS SPACE FOR SIMILAR OPPORTUNITIES SOON! Are you an ECT trained teacher with a basic knowledge of Italian? If so, we have a very exciting project launching shortly - please email your expressions of interest to ranitha@classprofessionals.com.au . POSITION FILLED! POSITION FILLED! CALLING ALL ECONOMICS TEACHERS! POSITION FILLED! POSITION FILLED! POSITION FILLED ! - JOB VACANCY–HOME ECONOMICS TEACHER (FOOD TECHNOLOGY) - POSITION FILLED!